I feel kind of bad. J’s bday came and went in the middle of the craziness that the month of May was. I didn’t get a chance to post. We managed to have a little special dinner at home. I made a couple of yummy things both made with puff pastry. 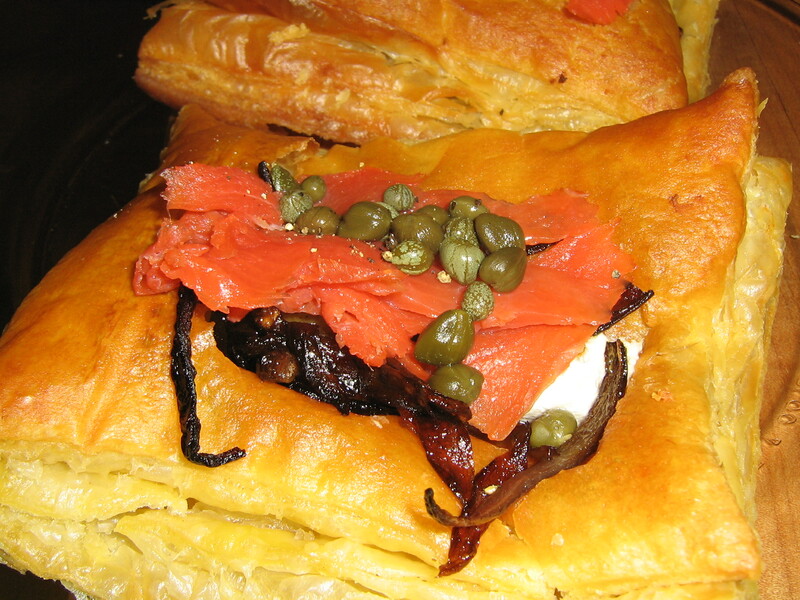 The first pictures is a square of puff pastry with goat cheese, red onions, and smoked salmon. 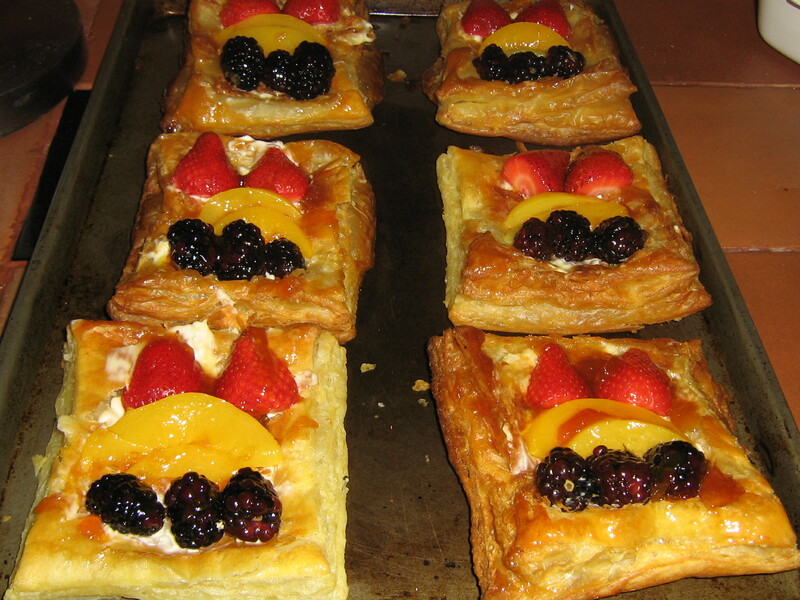 The second picture is dessert: fruit tart, something that J likes very much! Happy Birthday J! Indi and I loved you lots, lots, and lots. You are our most favorite person in the whole wild world! I am loved and spoiled, no doubts about it. The only complaint that I have is that my mama and daddy take this discipline business seriously. I just barked at the guy that went by our house on his skateboard. 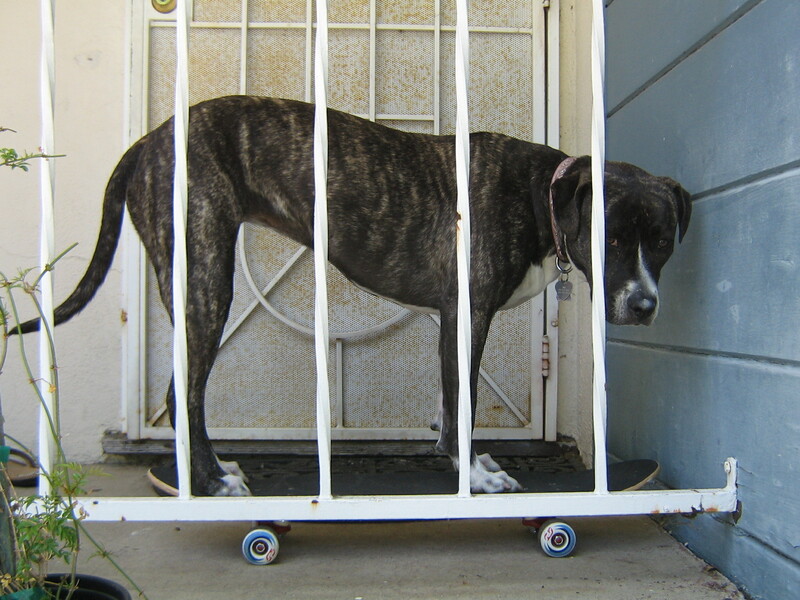 It is really necessary to punish me by making me stand on the skateboard that they bought for me? yes the one that I avoid at all costs and don’t dare to go anywhere near it…. 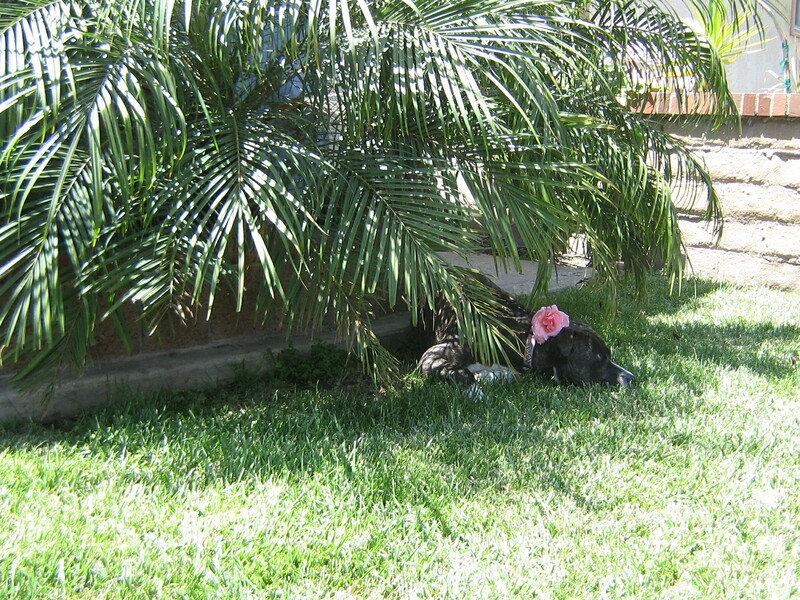 My favorite spot to chill! You can click on the image for a bigger picture. 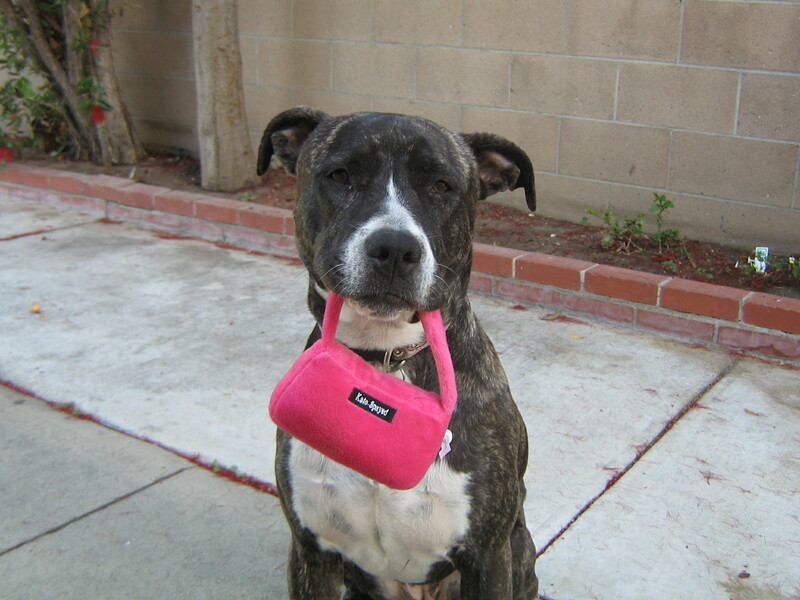 I like my pretty pink purse! Mama, can I play with all of them? These very cute toys were a gift from auntie CS for Indi’s bday. 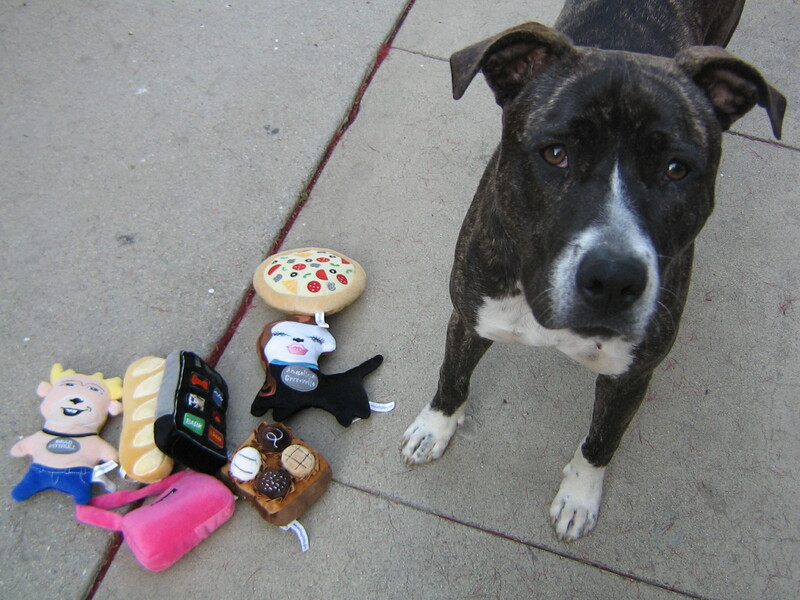 She only gets one toy at a time and she picked the pizza which is called “Woofgang pup pizza.” Too cute!!! The other night I was feeling rather creative and wanted to make something different. I had some chicken breast at hand so I went to work! I cut the chicken into long strips, as you would for chicken satay, and marinated it for about 3 hours with this really awesome Persian seasoning for kebab. You can find this seasoning in local Persian grocery stores or other middle eastern stores. Anyway, I added some red onions as well as they taste really good grilled. I suggest adding olive oil to the mix. You can also opt to add yogurt to the marinate and it is DELICIOUS! Unfortunately, I did not have any on hand, nevertheless, the results were really good! 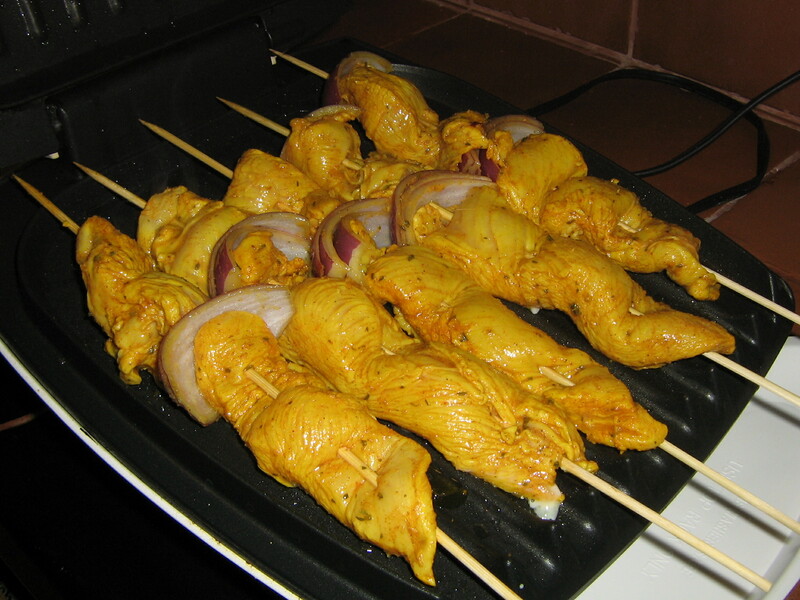 Once I was ready to grill the chicken I put them on skewers. Since I was too lazy to take the BBQ out, I simply reach for my beloved “Georgie” aka George Foreman Grill. The results were awesome. We had the kebabs with some salad. A very easy and quick dinner! So I am going to do what I do best, cook and eat! J and I have been trying to stay off of carbs but truth be told I am having a hard time staying away when I feel the need to snack on something while studying. In the past week two mornings I treated myself to pancakes. I wished I could tell you that I made them from scratch, but no, I used the store box mix which is pretty decent. 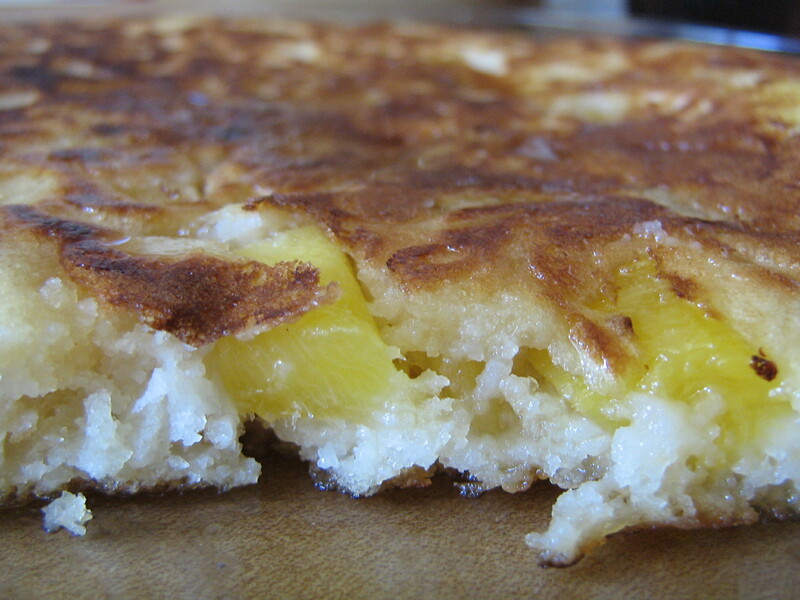 I decided to add some fruit to the batter as it is always good. The first time I had some mangoes (as seen in the picture above) and yesterday I actually used some loquats from our tree (picture below). 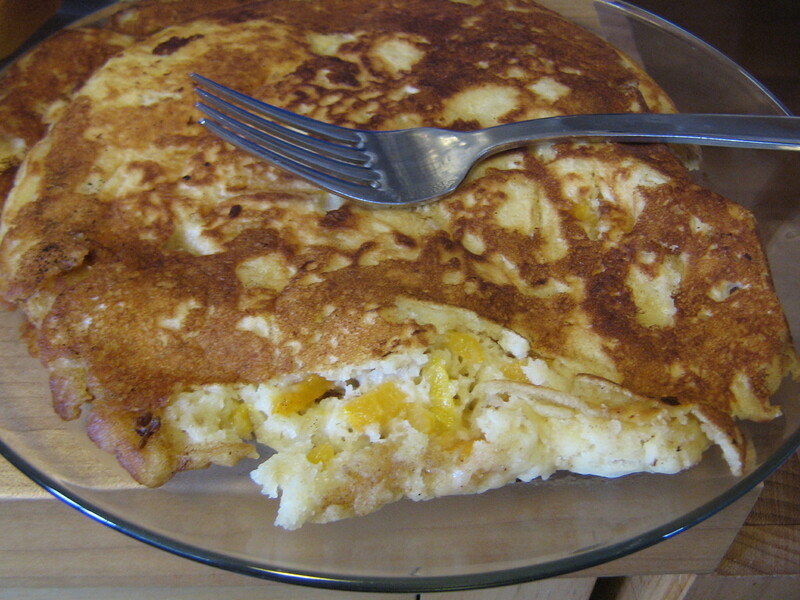 I must admit, the second experiment was not that great, you could not really taste the loquats. But the mango one was FANTASTIC! In case anyone knows any loquats recipes please send them my way…we have a tree and Indi and I have been snacking on the fruit here and there.